Every year, I try to subtly steer my loved ones into buying Christmas gifts for me that I’ll actually use. When it comes to stuff for the kitchen, this means gadgets, appliances and even food that I’ll put to good use, not items that will just clutter up the already crowded cupboards, counters, closets and kitchen drawers. In other words, I don’t need a third mini food processor or an eighth set of steak knives. Nor do I want anything with the name Rachael Ray embossed on it. If you’re buying for a cook this holiday season—no matter their level or expertise—I think you’ll find something on this gift list to make your favorite foodie very happy on Christmas Day. The informal classes at Tony Caputo’s Market & Deli are always fun and instructive, especially the ones that include wine pairings. Check out the schedule at CaputosDeli.com. Chef Elio Scanu and Zucca Trattoria in South Ogden host frequent Saturday cooking classes—who wouldn’t want to learn some kitchen secrets from a chef with the crazy skills of Scanu? Visit MyZucca.com to learn more. You’ll also want to visit Bambara-SLC.com periodically to stay abreast of the hands-on classes sporadically taught by Bambara Executive Chef Nathan Powers. They are fun, informative and delicious. Chop: Ask any professional chef about his most important kitchen tools, and chances are, he or she will start talking about knives. A good, all-purpose, high-quality kitchen knife is indispensable to even the most amateur cook. Someday, I hope to own a high-performance knife made by Master Bladesmith Bob Kramer (KramerKnives.com). Unfortunately for me, they sell for about $300 per inch, so an 8-inch chef knife would run about $2,400. However, Sur La Table sells a Bob Kramer-licensed 10-inch carbon-steel chef knife by Zwilling J.A. Henckels for $399.95 if you want something with Kramer’s name on it. Or, for $69.95 at Williams-Sonoma, you can pick up the knife that I use more than any other in my kitchen: a 7-inch WÃ¼sthof hollow-ground Santoku knife. I love the balance, weight and precision of this exceptional high-carbon steel knife and its razor-sharp cutting edge. Read: I’d be very happy to find a gift subscription to one of my favorite culinary periodicals under the tree on Christmas morning. For example, I’d be ecstatic with a Lucky Peach subscription. Lucky Peach is a quarterly literary magazine for foodies curated by the great David Chang and Chris Ying. It’s always as irreverent as it is entertaining, with articles penned by the likes of Marc Maron, Tony Bourdain, Mario Batali, Harold McGee, Elvis Mitchell and other interesting food mavens (McSweeneys.net/LuckyPeach). For many years, John Thorne—author of Outlaw Cook, Mouth Wide Open, Pot on the Fire and other terrific books—has, with his wife, Matt, produced the best food newsletter in the country from his home in Maine, called Simple Cooking. Thorne’s topics are always eclectic—the current Simple Cooking issue includes thoughts on a Polish potato soup flavored with dill pickles, and a dish made with roasted vegetables and hummus. Subscribe at OutlawCook.com. Lovers of both food and fiction will also love Martin Walker’s Bruno series of novels. They are set in Dordogne, France, and feature Chief of Police Bruno CourrÃ¨ges and his penchant for foie gras, lamb stews and bottles of Pomerol. Bruno, Chief of Police; Black Diamond (a mystery about truffles); The Dark Vineyard; and The Crowded Grave are all deliciously entertaining. Drink: To be honest, when my wife gave me a Vinturi wine aerator in 2011 for Christmas, I thought it was silly and a waste of money. I stand corrected. This little gadget has won me over. Essentially, it’s a small glass vessel with a number of internal chambers that allows you to aerate a single glass of wine (as opposed to decanting an entire bottle), thereby magnifying the aromas and flavors of the wine. It’s available at Bed, Bath & Beyond for $29.99. Cook: There is no shortage of cookbooks on the shelves of your local bookseller. However, two very interesting cookbooks recently caught my attention, in part due to their exoticism. I mean, as much as I love him, do I really need another Jamie Oliver cookbook? On the other hand, I’ve never even seen a cookbook about Belize until recently. Flavors of Belize: The Cookbook, from McNab Publishing Ltd., was compiled by Tanya McNab and Shelley Bowen Stonesifer, experts on the cuisine of Belize. There are recipes for dishes you’d expect, like conch fritters, grouper ceviche and a number of Creole dishes, but also surprising ones such as hibiscus-marinated pork tenderloin and puerco pibil. It’s a delectable collection of exotic eats. Ditto for Modern Flavors of Arabia: Recipes & Memories From My Middle Eastern Kitchen, by Suzanne Husseini. I’ve been working my way through recipes like those for cinnamon-spiced kibbeh tartare, chicken shawarma, falafel, mjadara, kofta and elegant walnut-and-herb stuffed salmon with spicy tahini sauce. All are stupendous. Eat: Wanna make Christmas dinner especially memorable? A Kurobuta ham or American Wagyu (Kobe) beef tenderloin roast from Idaho’s Snake River Farms (SnakeRiverFarms.com) is just the ticket. 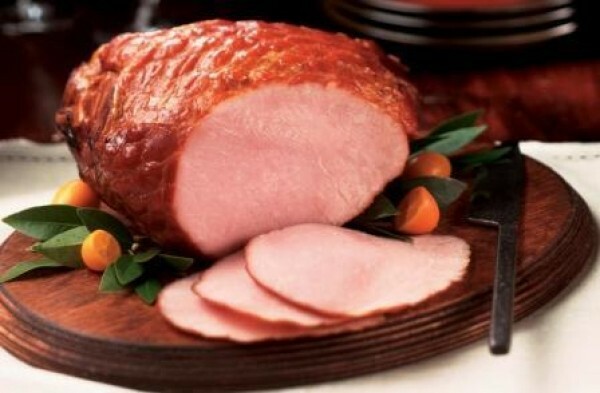 Once you eat a Snake River Farms ham, nothing else will quite stack up. Of course, goose is an all-but-forgotten holiday classic. If you’d like to cook your goose for the holidays, I suggest turning to DArtagnan.com for an all-natural, humanely raised, free-range White Embden goose. It’s all succulent, dark, rich meat—a bird you won’t soon forget.